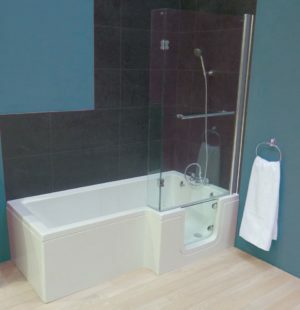 The Satin Glass walk-in shower bath is a luxury P shaped bath with a glass entry door and curved glass shower screen. 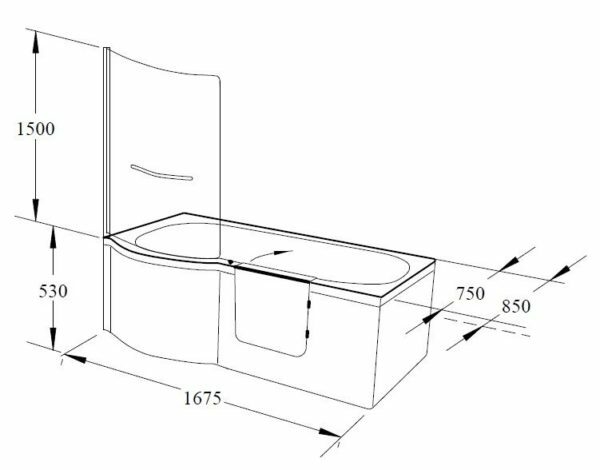 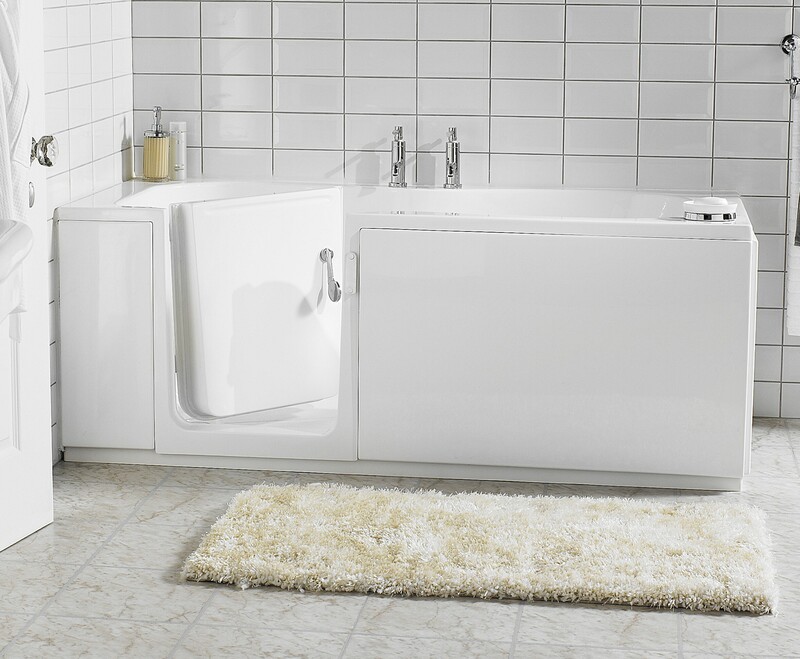 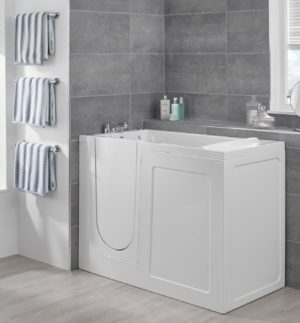 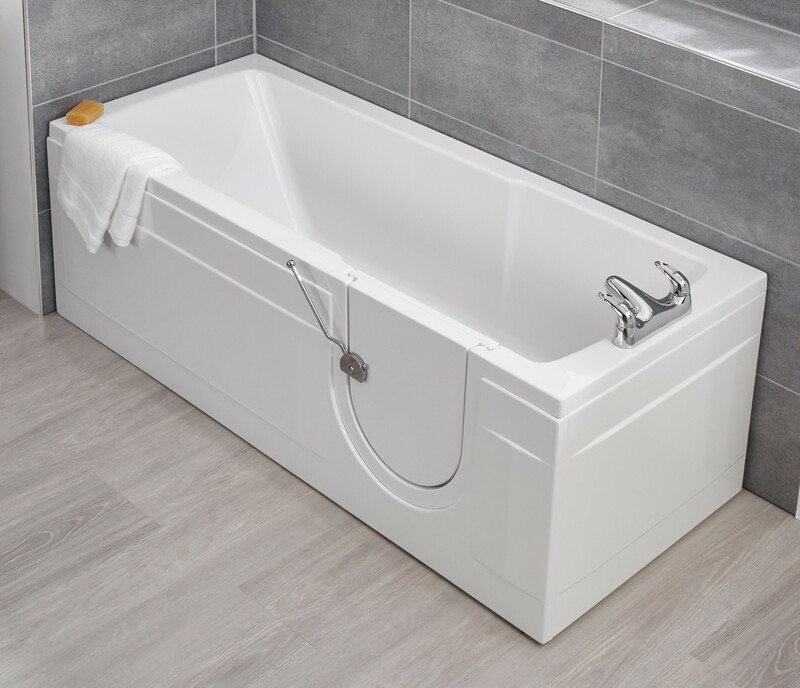 For families, or situations where several people will use the bath, it offers a versatile solution. 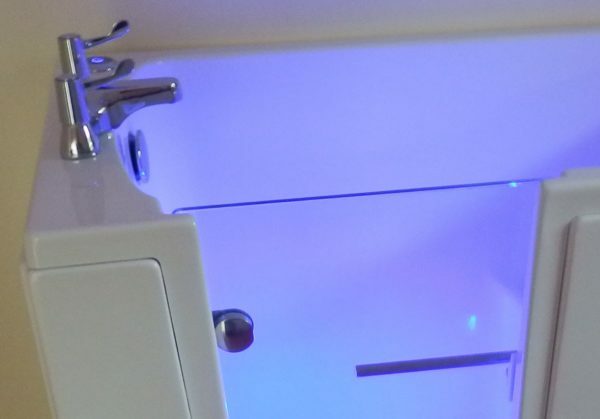 The glass door offers ease of access for the less able, whilst other users can simply close it prior to filling and then step over the side as normal. 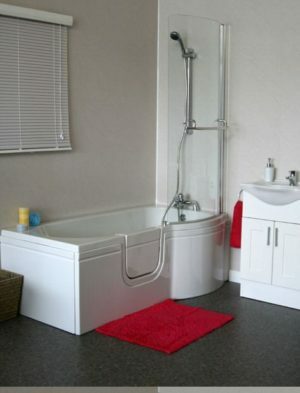 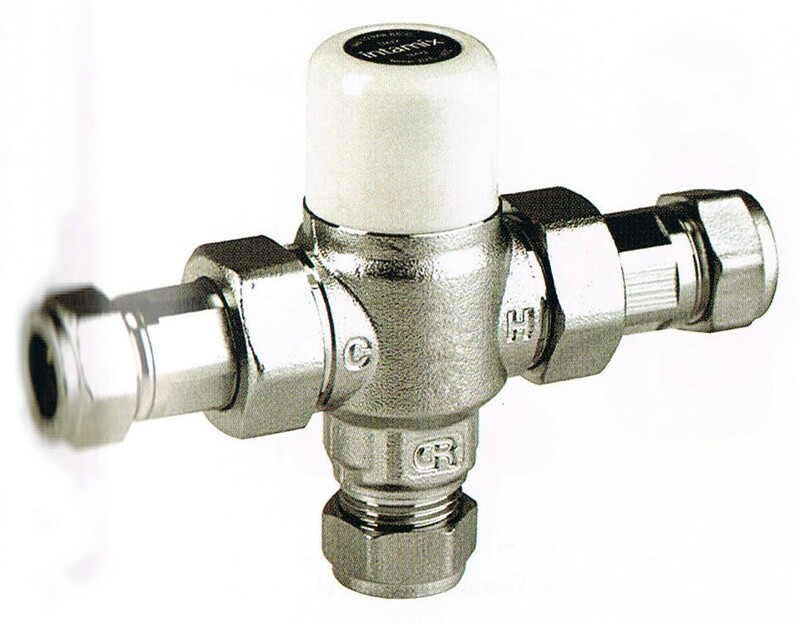 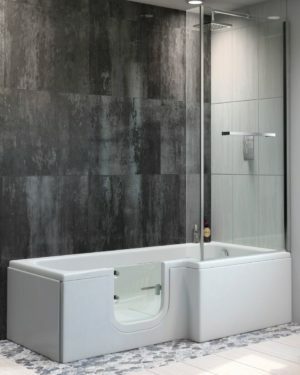 The flat anti slip base in the shower area means it is ideal to use for standing to take a shower. 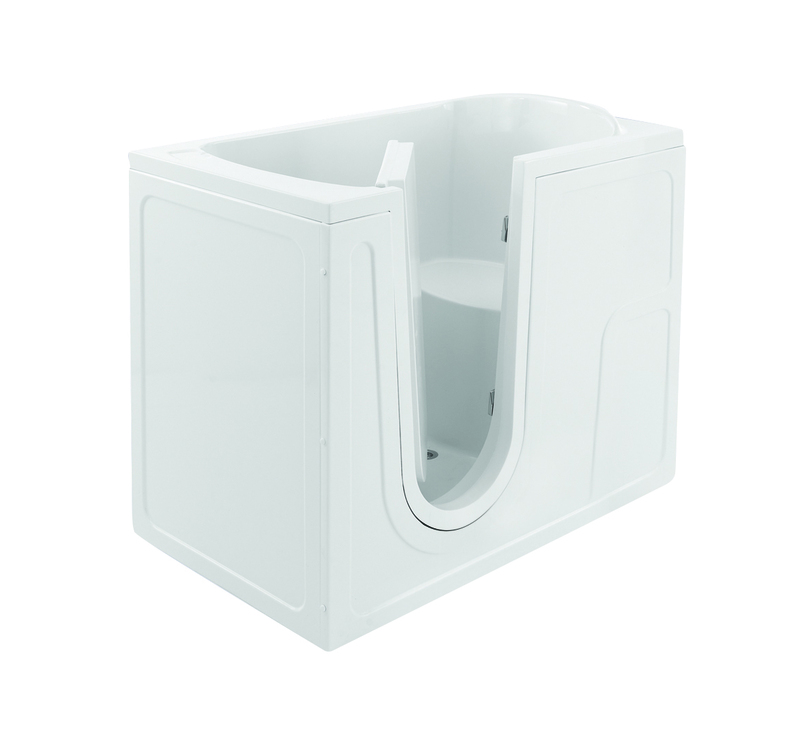 The door is inward opening with a secure lever closing mechanism. Simply lift up the lever to open the door, and push it down to securely close the door. 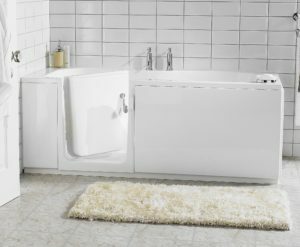 A robust silicone seal ensures a watertight seal. The Satin Glass walk-in shower bath is 1675mm long, making it ideal to replace a 1700mm bath without removing tiles. 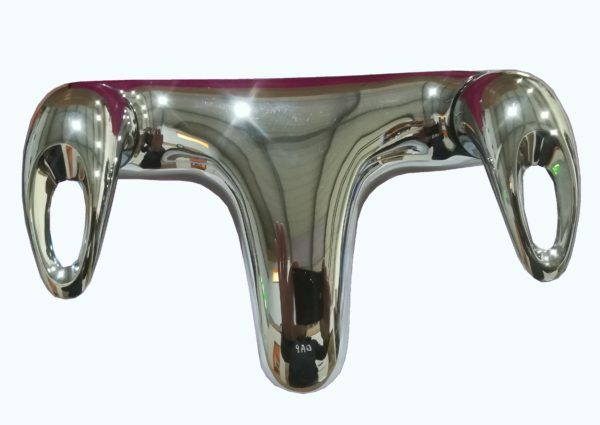 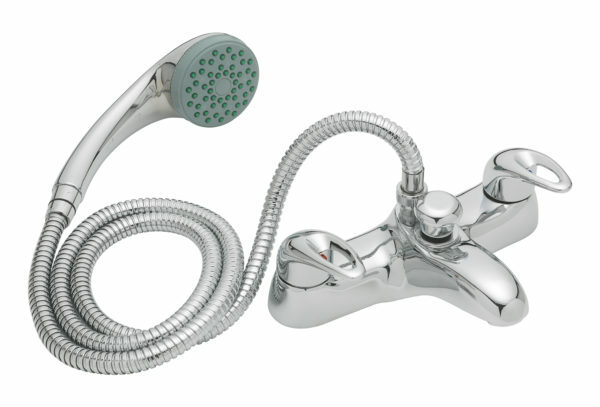 Twin clicker wastes (or optional plugs & chains) ensure rapid bath emptying. Available in left or right hand versions, the Satin Glass also has the option of a factory fitted 12 jet warm air hydrotherapy spa. The Satin Glass walk-in shower bath is made by hand in the UK. It features a sturdy steel frame and is superbly finished. If you wish to purchase this bath without using the online facility, or if you have non-standard delivery requirements, please call to discuss. 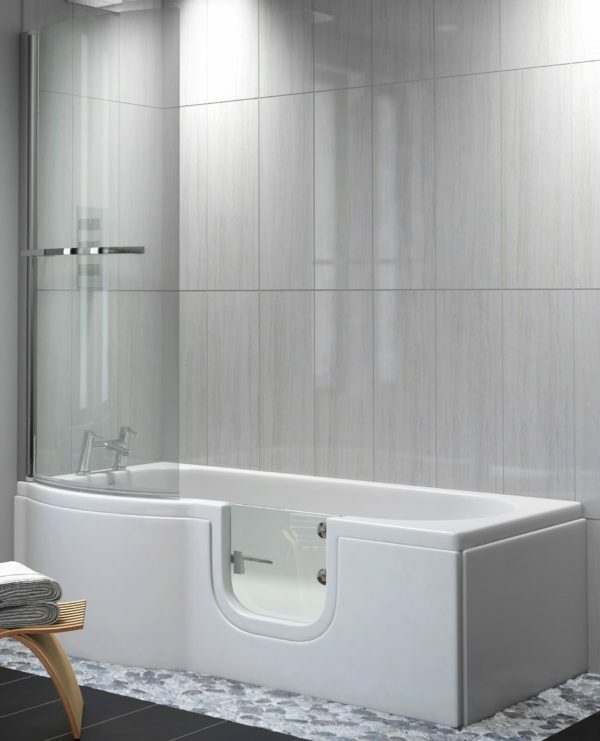 The Satin Glass walk-in shower bath – beautiful and versatile!